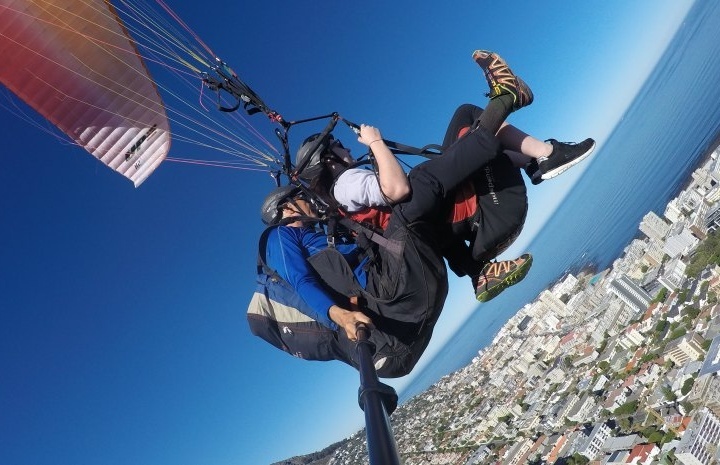 If you live in Cape Town then it's guaranteed you've seen paragliders running off the edge of Signal Hill and swooping down to land at Sea Point, but did you know for only R1300 you can have a go yourself? That's exactly what we did on Saturday the 3rd of March, joining Skywings Paragliding for the ultimate aerial experience. We met Jody bright and early at 9am where we got signed in and harnessed up, then introduced to our tandem instructors. My pilot was called Josh, and he kindly explained exactly what happens throughout the take-off, flight, and landing (I think he could tell I was a bit nervous! 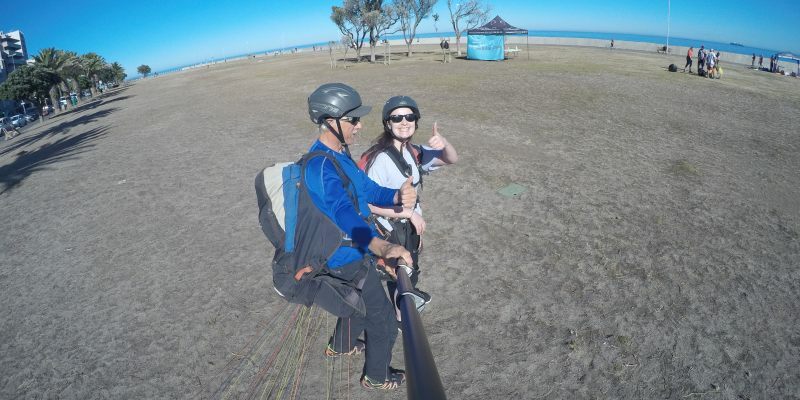 ), whilst filming us pre-flight on a Go-Pro. 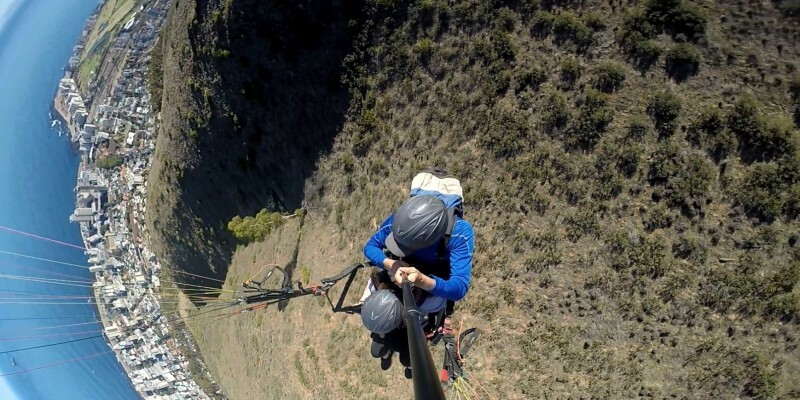 There are a few paragliding companies who operate from the same launch-site, so we patiently waited our turn while the people before us made their jumps. Take-off was the part I was most apprehensive about, but it was actually incredibly easy - you just start running down the hill, then suddenly your feet aren't on the floor anymore! If you think the views from Signal Hill are impressive, they're nothing compared to the 360 panorama around you, and the entire city spread out beneath your dangling feet. Josh was super chatty throughout the flight, pointing out interesting buildings and talking about the paragliding industry - you could tell he was extremely passionate about the sport. As we sailed out over the Atlantic he asked if I was happy for him to perform some 'manoeuvres' (of course I said yes), so we swooped and dipped at high speeds with the ocean glittering below - it was amazing! Landing was also surprisingly easy, we simply drifted towards the ground then touched down on foot - not quite the epic faceplant I had anticipated. 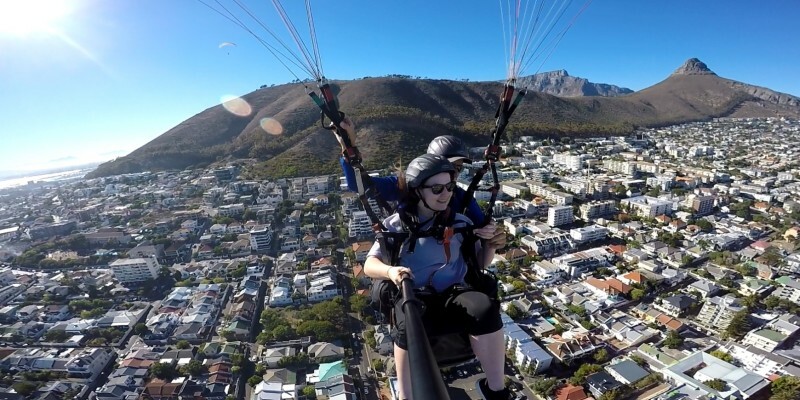 I can honestly say paragliding in Cape Town is one of the best experiences I've ever participated in, and am so glad I had the nerve to go for it - I implore everyone to do the same! Huge thanks to Jody and Josh for organising such an incredible day.